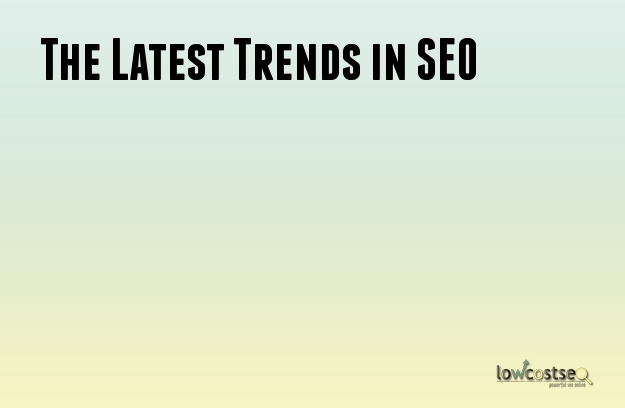 What are the Latest Trends in SEO? In order to make sure that your website has every opportunity to become a success, you must go for SEO. However, the fact is that SEO is not constant. The landscape of SEO changes continuously as Google updates its algorithms. Therefore, a SEO technique that worked on year back may not give the same result now. For that reason, you must constantly keep yourself updated with the latest trends being followed in SEO. Here are some of the SEO trends that are currently in vogue. Called CTR for short, the click through rate has become an important ranking factor in the search engine algorithms of Google. If you have a high CTR, it can be a sign that the rankings of your keywords are high as well. In order to increase the CTR, you need to consider and optimizes a variety of elements such as the content flow, the webpage design and the on-page SEO. It has been quite some time since backlinks were designated as an important SEO factor. This hasn’t changed at all. In fact, the importance of backlinks is quite high. You will find it easier to achieve and maintain a high rank if your backlink profile is a strong one. Be that as it may, it is unimportant that you ensure that the backlines are relevant. Relevancy is crucial. You must keep an eye on your backlink profile and curate it from time to time to ensure the quality of the backlinks. In the current SEO scenario, a few backlinks from high authority sites will be more valuable than a lot of backlinks from sites that have no authority. The importance of social media is considerable. In fact, it is one of the most powerful resources available for your SEO activities. Of course, many people hope to become viral in social networks. That will be significantly beneficial. As such, you should try and improve the shares that your content receives on social media networks such as Twitter, and Facebook among others. One of the ways to ensure that your content receives a lot of shares is through the content itself. You should try and improve the quality of the content and make it as interesting as possible. Creative content get more shares than boring content. You should not underestimate the importance of a good design for a webpage in SEO. People like visiting webpages that look good and are user-friendly. Therefore, revamp the design of the pages that you want to have a high rank. Make them better. The same applies to your content. While you need to keep bringing in fresh content for the users to browse and read, you should not forget about your existing content. Take some of your old content and get them rewritten. Refine and improve their quality before publishing them again. There are many other elements which you need to concentrate on in SEO. However, these are currently some of the more important trends being followed. Therefore, you can achieve good ranks with these methods.